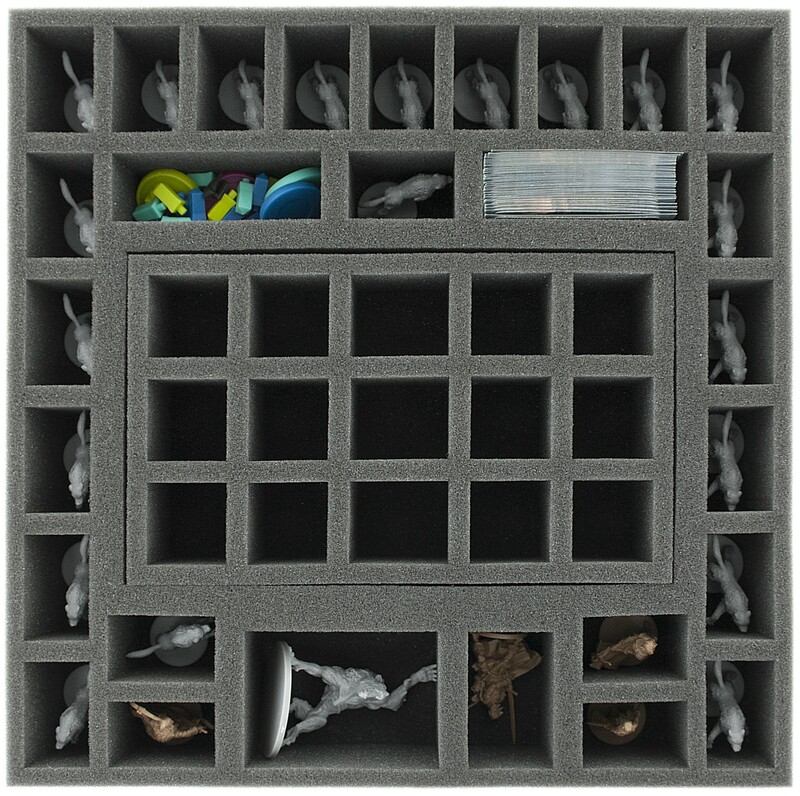 Foam tray especially for Zombicide Wulfsburg. 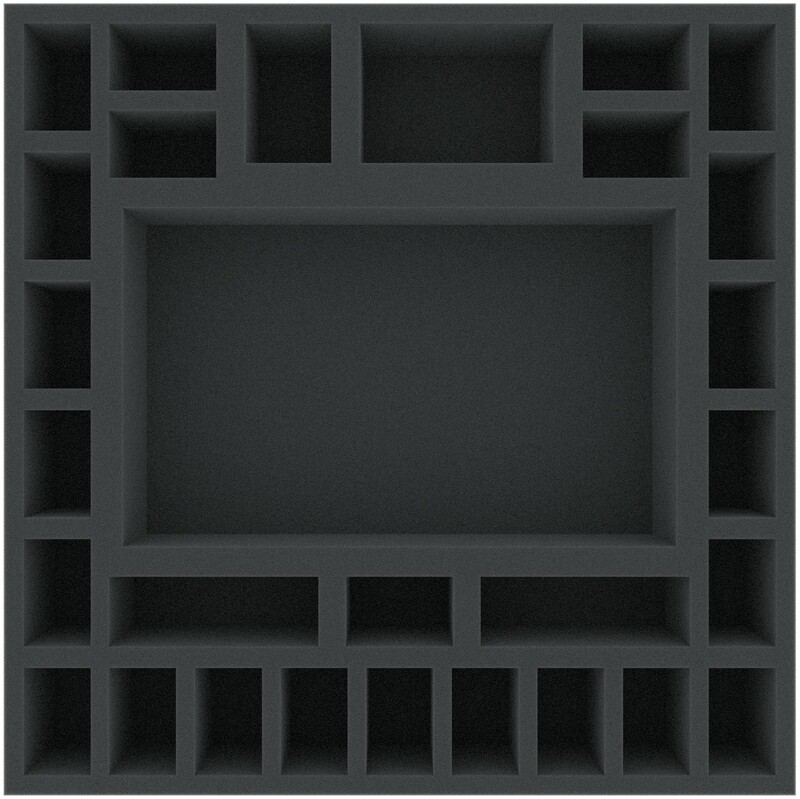 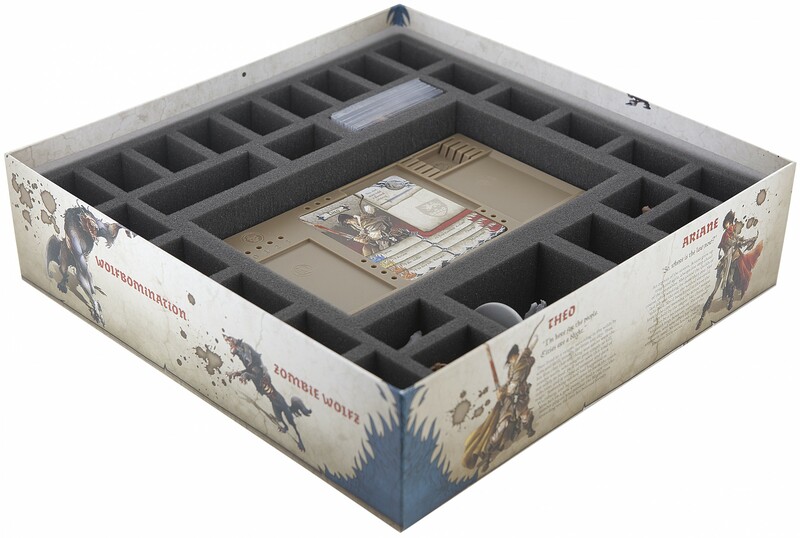 The 29 different sized compartments are perfect for game material from the expansion. 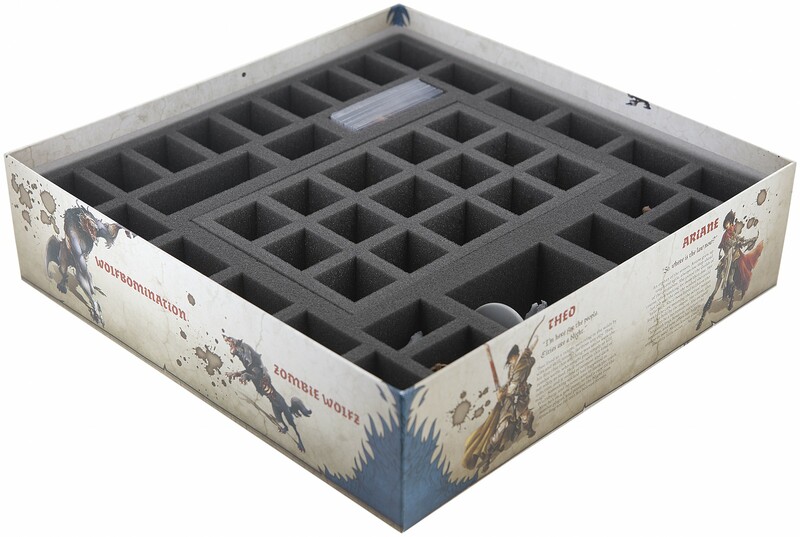 So 21 Zombie Wolfz, a Wolfbomination, four survivors, four dashboards, mini cards in sleeves and markers can be kept in a well. 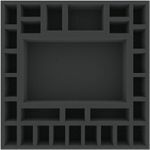 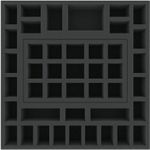 In addition, there is included an extra foam insert, that can be used to divide the big compartment in 15 smaller compartments. 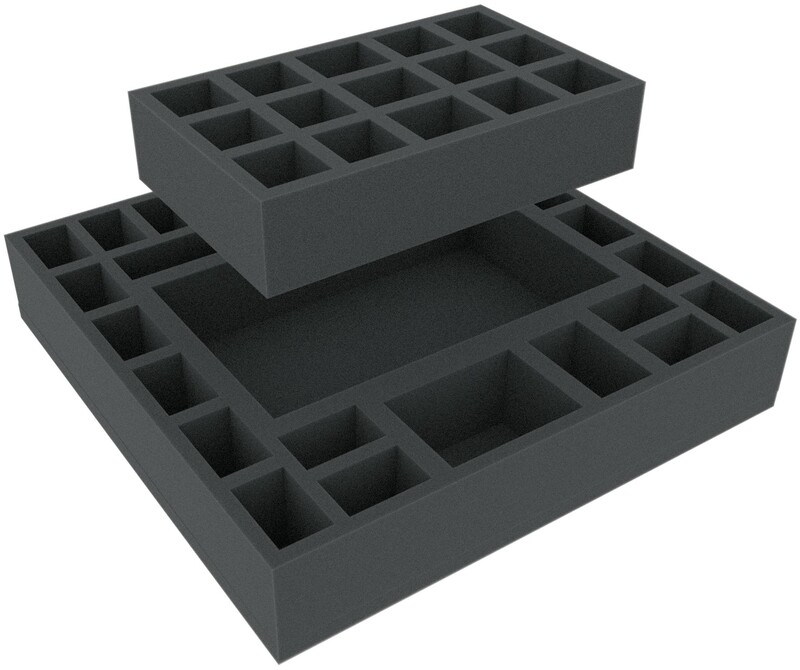 The foam mat then has 43 compartments. 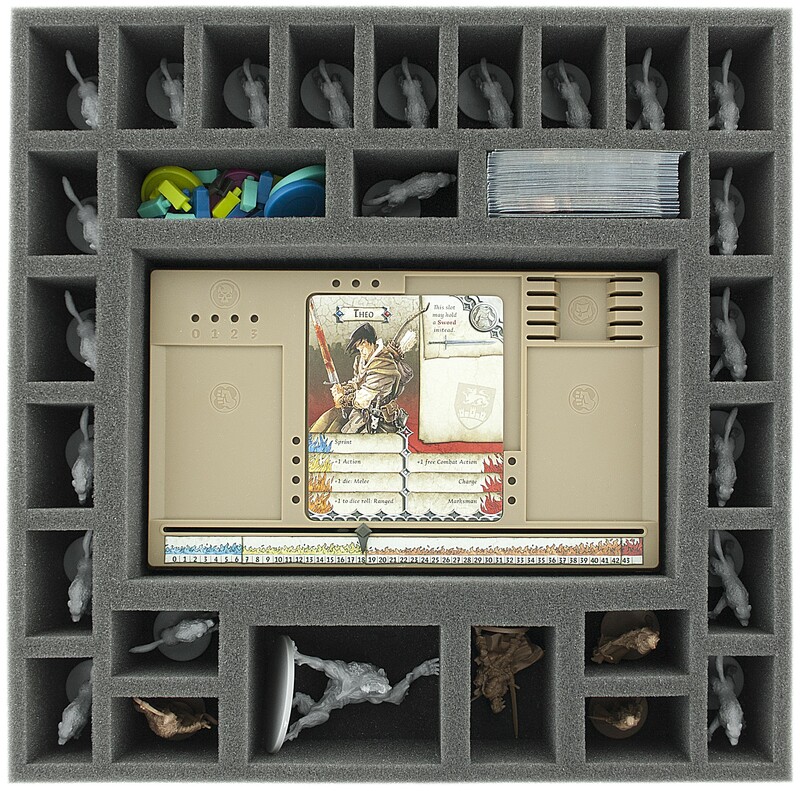 To protect the miniatures from above, is an extra foam topper included. 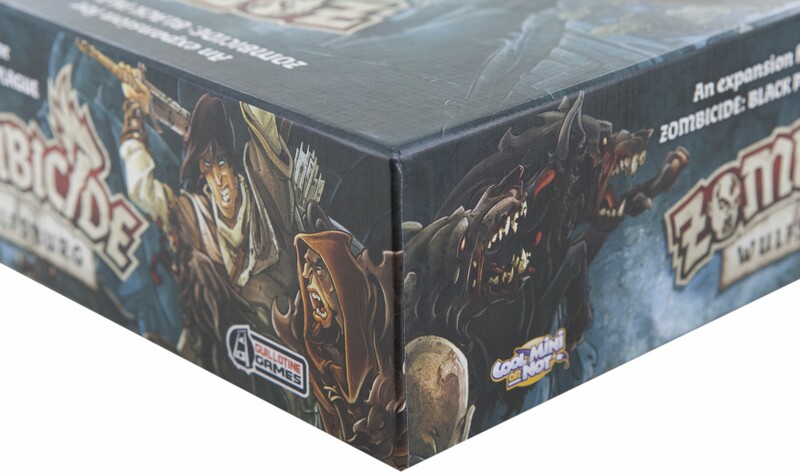 1 compartment for a "Big Bad Wolf"